Eating a variety of meats, vegetables, and fruits is definitely encouraged. However…what is the nutritional value of our food? The nutritional value has decreased as we have refined and process our foods. Unless you grow your own, you need nutritional supplements to make up the difference. Not having enough of the right vitamins, minerals, and antioxidants affects the ravaging effects of the aging process. Insufficient nutrition contributes to poor cardiovascular health, poor eyesight, and a weakened immune system. Good quality nutritional supplements can help in all these areas. Radiation exposure, cigarette smoke, and exposure to sunlight are some factors. The nutritional supplements must contain the right ratio and quantity to be beneficial. Adding nutritional supplements to a well balanced diet and adding exercise to your routine will greatly influence how our bodies stay healthy. 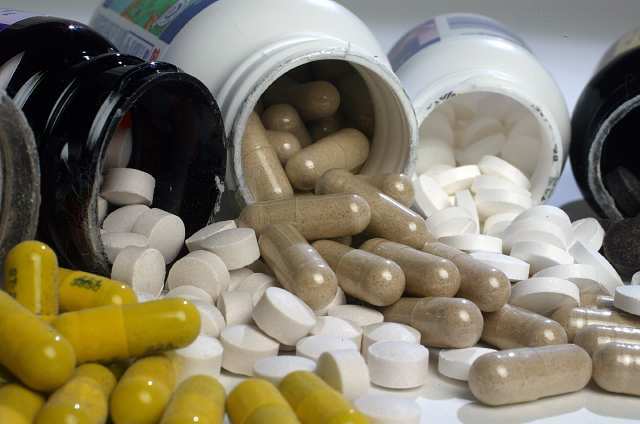 Good quality nutritional supplements can even affect the aging process. Many of you know that my daughter plays competitive softball for a club and for her high school team. We started her in softball in 3rd grade and quickly recognized her talent and abilities. She learned the fundamentals for a few years then she started playing more competitively (with the club) in jr. high. Her incredible genes 🙂 . The best personal trainers in Countryside, IL. A funny thing happened when she started playing more competitive softball and going to the personal trainer 3 times/week. Her grades started improving. We were initially worried that her grades would suffer due to the demand of the club and her workouts but you can imagine how pleasantly surprised we were when they actually improved! I asked a few other parents that from the gym and they mentioned the same thing. I knew it couldn’t be a coincidence so I started researching about the effects of exercise and it’s correlation to academics. I found an interesting article (below) that I wanted to pass along to my wonderful readers. Take a look and leave me a comment below. The summary below is from an article posted on the Psychology Today website and it talks about studies that were done linking physical activity (exercise) to cognitive abilities. If interested, you can see the full article on their website. In June of 2014, researchers from the University of Madrid reported that motor skills gained through physical activity may be of greater importance than the cardiorespiratory benefits of aerobic fitness. The Spanish study,”Independent and Combined Influence of the Components of Physical Fitness on Academic Performance in Youth,” was published in the Journal of Pediatrics. An August 2014 study from University of Illinois at Urbana-Champaign found that children who are more aerobically fit have more fibrous and compact white-matter tracts in the brain than their peers who are less fit. The study, “Aerobic fitness is Associated with Greater White Matter Integrity in Children,” was published in the journal Frontiers in Human Neuroscience. In a September 2014 study, researchers from Michigan State University and University of Vermont found that offering daily before-school, aerobic activities to younger at-risk children could help in reducing the symptoms of ADHD in the classroom and at home. The study, “A Randomized Trial Examining the Effects of Aerobic Physical Activity on Attention-Deficit/Hyperactivity Disorder Symptoms in Young Children,” was published in the Journal of Abnormal Child Psychology. In a September 2014 study, researchers at the University of Montreal identified four dimensions of play particularly important for children as part of any physical activity. Play makes exercise seem like fun which makes it more enjoyable. The study from The University of Montreal, “Problematizing “Play-for-Health” Discourses Through Children’s Photo-Elicited Narratives,” was published in the journal Qualitative Health Research. A September 2014 study from University of Finland found that physically active school transportation related to academic skills and may be beneficial for the development of reading skills in boys. The study, “Associations of Physical Activity and Sedentary Behavior with Academic Skills – A Follow-Up Study among Primary School Children,” was published in PLOS ONE. In September 2014, the abstract of a study,”Brain Breaks: Physical Activity in the Classroom for Elementary School Children,” was published in the Journal of Nutrition Education and Behavior. Oregon law will mandate that by 2017 elementary schools have 30 minutes a day of physical education classes, in addition to recess periods. A survey conducted by the Healthy Youth Program found that 92 percent of Oregon public elementary schools currently do not meet this standard. The CDC confirms that this is a nationwide deficit. In September 2014, researchers at the University of Illinois at Urbana-Champaign released findings that children who participate in after-school exercise groups have improved cognitive function. The study, “Effects of the FITKids Randomized Controlled Trial on Executive Control and Brain Function,” is available from the University of Illinois News Bureau. In October 2014, researchers at the Georgia Institute of Technology found that an intense bout of personal training for as little as 20 minutes can enhance episodic memory, also known as long-term memory in healthy young adults. The study, “A Single Bout of Resistance Exercise can Enhance Episodic Memory Performance, was published in the journal Acta Psychologica. Good fats or Omega-3 fatty acids are of particular importance to all athletes, not just mixed martial artists. Through constant punching, kicking and joint manipulation, a significant amount of stress is placed on the body. Omega-3’s are excellent for any athlete as it contains powerful anti-inflammation properties, this is excellent for reducing muscle soreness and joint pain. Apart from its role as an anti-inflammatory, it is excellent for enhancing cognitive ability and brain function, making it a must have for all athletes. Omega 3’s can be consumed in capsule form, or by liquid such as fish oil or flax seed oil. This naturally occurring compound is an effective supplement for the MMA athlete. Creatine is excellent for energy production throughout the muscle. When using muscles for any explosive movement, a form of energy known as ATP (adenosine tri-phosphate) is expended. This can be thought of the muscle’s form of currency and is quickly depleted in explosive movements such as shooting for a take down or throwing a power punch. The more depleted this ATP becomes; the more lactic acid builds up and causes a burning sensation inside the muscle. Creatine is excellent for acting as a buffer to slow down this lactic acid build up and increase energy reproduction for the muscle. This non-essential amino is widely known for its role in accelerating recovery and muscle repair. It is comparatively the most abundant amino acid and makes up 66% of the bodies total amino acid pool. The body has the capability of producing this amino acid to maintain regular bodily function, however it is severely depleted during medium to high intensity exercise. Under this condition, glutamine levels in the body will be depleted and thus lead to muscle soreness. Adequate supplementation of this amino acid will significantly speed up muscle repair and recovery while also delivering secondary benefits-regulating immune function, building stronger bones and aiding digestion. In order for athletes to achieve peak energy levels and performance, feeding the body with the proper vitamins is minerals is important. There are a wide array of vitamins, such as calcium and magnesium, which creates bone formation. With adequate supplementation, vitamins play an important role with other nutrients as it aids the body in maximizing the creation of cellular energy. The duration of taking the supplements will depend on the nutritional health supplement you choose and how severe the illness or deficiency. There are great testing methods that are now available to determine what your needs are. They are not the blood tests normally done in your medical doctors office, they are specific tests to determine if you are deficient in certain minerals, vitamins, fatty acids, amino acids and antioxidant levels. With this information you will be given timelines and dosages for taking your specific nutritional health supplements. Mtcmma.com is a high quality nutritional supplement website designed to offer effective vitamin and mineral supplements, herbal formulas and essential oils all aimed at improving your health. It is an easy to use site that allows you to go to the category of health you need improvement where will find products that have been used successfully in health and wellness clinics all over.